The Upper School in Covent Garden is where our full-time students aged 16-19 train in classical ballet. They also study for post 16 academic qualifications during the first two years, before full time ballet training in the 3rd Year. Admission is based on talent, with around 100 students from 17 different countries attending the school each year. For the tenth year running, 100% of our graduating class have received professional ballet contracts with companies around the world. 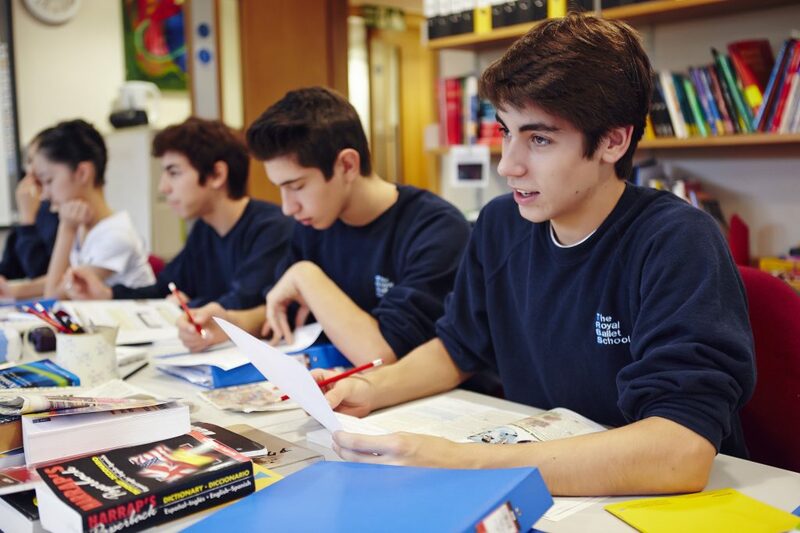 Our academic results are equally impressive, with 55% of A Levels achieving A*-A grade. These achievements come as a result of the work put in by the students we teach. Our Covent Garden building is connected to the Royal Opera House by an architectural landmark, the 'Bridge of Aspiration', allowing students easy access to The Royal Ballet studios for performance rehearsals. Find out more about the Bridge. 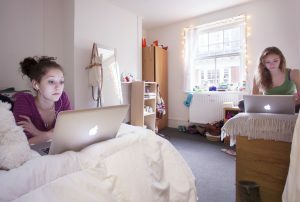 All students at the Upper School live at the School, in either our newly refurbished boarding houses in Pimlico or in our 3rd Year accommodation at Jebsen House. The houses provide a safe and supervised environment where students can begin to learn the key life skills that will prepare them for working in a ballet company. Students rise early, arriving at school in time to warm up before class begins at 8.30am. Ballet classes last 90 minutes and comprise of girls' and boys' classical study in the morning and pas de deux and repertoire in the afternoon. In addition to developing dancers for international companies, The Royal Ballet School has produced many successful choreographers. Upper School students learn choreography and develop their own work, taking part in choreographic competitions such as the Ursula Moreton Choreographic Award. 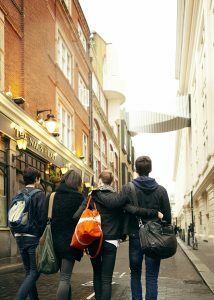 There are short mid-morning and afternoon breaks and a lunch break in the middle of the day when students can relax in their common room, venture out into Covent Garden, or get a meal at the Royal Opera House staff canteen. Upper School students also study for A levels and for a BA in Classical Ballet and Dance Performance. This three-year degree programme, accredited by the University of Roehampton, offers students the unique opportunity to train and study a structured dance and academic programme which not only equips students for a career in the world of dance but also presents a pathway for further study. International students have the option to take exams in their home country's academic syllabus, whilst pursuing their dance training in London. As the career of a dancer can be shorter than some other professions, students are introduced to the idea of planning for a career after dance. We do this in partnership with Dancers' Career Development, who hold workshops and talks at the Upper School. The Royal Ballet School is unique in its links with The Royal Ballet and Birmingham Royal Ballet. Our students have many opportunities to perform with both companies throughout the year, dancing on the Royal Opera House stage alongside professional company members. 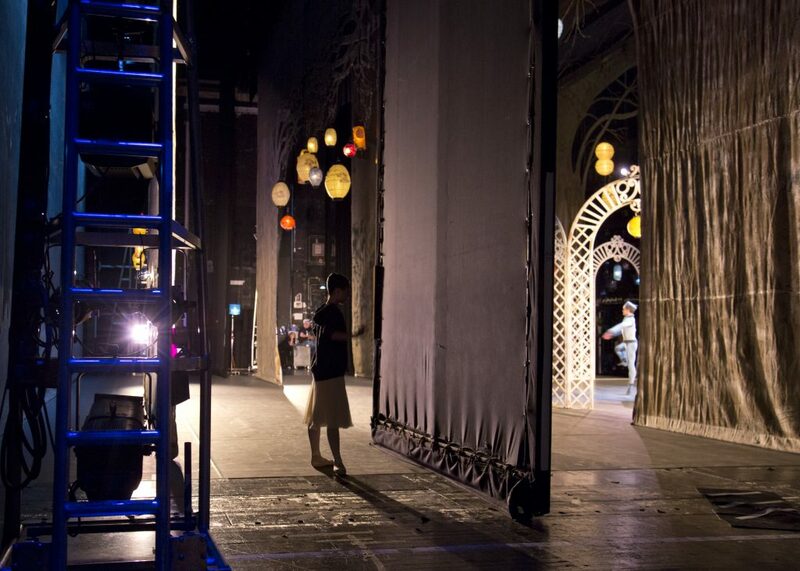 The highlight of the year are the Summer Performances, most recently held at Opera Holland Park, and the Royal Opera House matinee performance.